Lock Stock and Barrel Furniture is a family run business managed by Ruth and Amy. We consistently aim to achieve high levels of customer satisfaction and we gain business through recommendations from happy customers. We take this as a testament to our high quality mahogany and walnut furniture and the service we provide. Based in the market town of Ledbury in the beautiful county of Herefordshire. Lock Stock and Barrel Furniture has been established for over 10 years and offers the best mahogany and walnut antique reproduction furniture to customers throughout the United Kingdom. Each piece of furniture in our range is carefully selected from authentic antique replicas to contemporary designs. We are able to source high quality solid mahogany and walnut antique reproduction furniture and supply this directly to our customers at very keen prices. The extensive range available includes four poster beds, sleigh beds, French style beds, bedsides, dressing tables, armoires and wardrobes, chests of drawers and all bedroom furniture. As well as desks, bookcases, coffee tables, TV and media storage, mirrors, chairs, display cabinets, mattresses and much more. All of our mahogany furniture is hand crafted from high grade solid mahogany wood which is only sourced from sustainable plantations. Our timber is sourced from managed plantations in Indonesia which are strictly controlled. 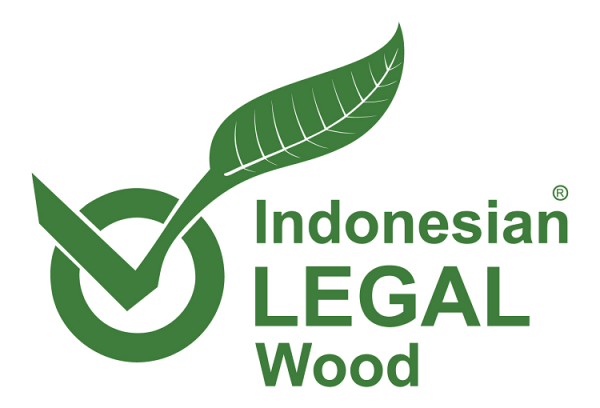 It is mandatory for all exports of timber products from Indonesia to the EU to comply with SVLK certification. This means that all of our containers have a V-Legal Certificate demonstrating that the timber products are sourced from legally harvested timber. The V-Legal logo can be found on our furniture packaging. If you buy furniture without the relevant certification it could have been produced using illegally harvested timber. We aim to provide quality furniture that is very competitively priced, offering exceptional value for money. We have a long established relationship with our mahogany supplier in Indonesia and to add variety for our customers we are able to offer a bespoke service, making custom furniture specially made to your requirements from solid mahogany wood. Why not have a desired piece of furniture made especially for you! See our Bespoke Section for further information. Our exclusive range of walnut antique reproduction furniture includes classic English, French and Italian designs. All of the walnut furniture is authentically hand crafted on a solid wood carcass and finished with a high grade walnut veneer. We are the only UK furniture importer of the walnut collection and are able to offer our premium walnut furniture at very keen prices. We specialise in traditional antique reproduction beds which are all expertly hand crafted and constructed in romantic, elegant Italian, French and English styles. Our wide selection of four poster beds include Tudor, Victorian, Regency and Georgian styles. Also available are Sleigh beds, French Louis, Rococo and Gothic style beds. We offer a selection of British made mattresses from Moonraker which are constructed from high quality materials using traditional methods. The mattresses are very competitively priced to compliment our range of beds and we can personally recommend the Moonraker Memory 1000 mattress for an ultimately comfortable nights sleep. All furniture is carefully QC checked in our warehouse and polished before being dispatched with our own specialist furniture courier. They deliver all of our furniture taking extra care to ensure that it arrives in excellent condition. We offer a free specialist delivery service directly from our warehouse to most of mainland UK. Please see our Delivery Page for full terms and conditions. Our mahogany range is finished with a traditional wax polish to enhance the rich mahogany colour of the wood. We can also offer a range of specialist paint finishes for all of the furniture in our mahogany range. Popular finishes for bedroom furniture are antique white, cream or cream with gold. We can also offer elaborate finishes including black and silver, full gold leaf and full silver leaf finishes which are shown on the website. Everyone is welcome to visit our showroom and warehouse in Ledbury, Herefordshire to view our furniture during office hours.